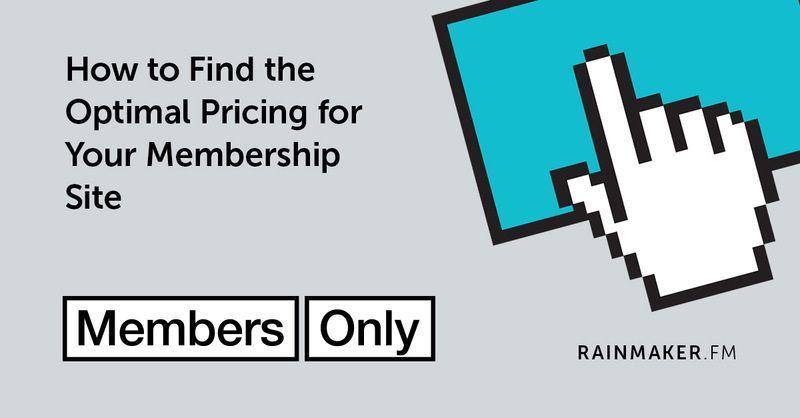 Are you struggling to find the right pricing model for your membership site? In this episode, we provide you with a detailed framework to make it an easy decision. Finding this optimal pricing for a membership website can be very difficult. While there are many tactics to improve your pricing strategies, there are not many general frameworks that you can use from the start. But if you listen to this episode, you will learn a simple and proven technique for finding the optimal pricing for your site — helping you increase your revenue while generating a substantial profit. And best of all, this episode includes a companion SlideShare deck that walks you through all the concepts we discuss.